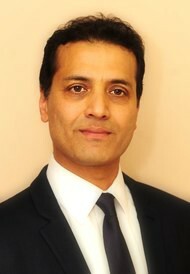 Dr. Jilani has been practicing as a cosmetic dermatologist in the UK for over 12 years. He is passionate about his work in advanced medical cosmetic treatments, and takes great care of each and every one of his clients. Dr Jilani comes from a family of physicians: his father and his three brothers are also doctors. He completed his postgraduate training in 1987 and is a Member of the Royal College of Physicians. He is an absolute perfectionist when treating clients, only happy if they are 100% satisfied with their treatment. He has a very calming manner whilst dealing expertly with nervous and anxious clients. Dr. Jilani is one of the first doctor in the UK to specialise in Cosmetic Medicine over 12 years ago, and is the pioneer of medical cosmetic treatments on the Isle of Wight. He researches all the treatments offered at the clinic extensively for safety and effectiveness. He keeps in close contact with medical colleagues in the USA and Europe so that he can bring the best and latest treatments back to the UK. Dr JilaniÂ regularly attends scientific and educational meetings and conferences throughout the world, to ensure that the Island Cosmetic Clinic remains at the forefront of the exciting field of cosmetic and aesthetic medicine. The Island Cosmetic Clinic feels proud and honoured to be a FINALIST in not one, two or three but FOUR categories of TWO, National Cosmetic/Aesthetic Awards for 2012-2013. The Island Cosmetic Clinic is the only cosmetic clinic in the country to be a Finalist for MyFaceMyBody Awards. The Island Cosmetic Clinic was nominated for the Aesthetic Medicine Awards for Best Customer Experience in the UK (2008).